The woman accusing Democratic Virginia Lt. Gov. Justin Fairfax of sexual assault has hired Christine Blasey Ford's legal team to represent her. Vanessa Tyson, an associate professor of politics at Scripps College in California who is currently on leave, accused Fairfax of sexual assault that she says took place 15 years ago in a hotel room at the 2004 Democratic National Convention in Boston. Tyson hired Katz, Marshall & Banks to represent her, NBC News has confirmed. That legal team represented Ford, who accused now-Supreme Court Justice Brett Kavanaugh of sexual misconduct when both people were in high school. A source close to Tyson's legal team provided NBC News with permission to identify her. Fairfax has said the encounter was consensual and that he was being "smeared" by an allegation. 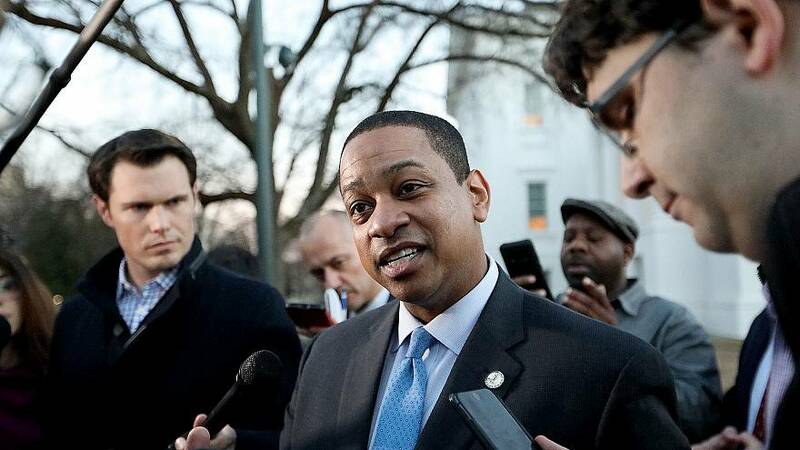 The allegation against Fairfax has come under the spotlight as Democratic Virginia Gov. Ralph Northam faces calls to resign from prominent Democrats after a photo from his page of a 1984 medical school yearbook showed a person in Ku Klux Klan robes and another wearing a blackface costume. Northam, who has resisted the calls to resign and said he needs more time to decide, said Saturday he was not either person in the photo although he admitted the day before that it was him in the picture. Fairfax, 39, is next in line for the governorship if Northam steps down. On Sunday night, a far-right blog called Big League Politics — the same outlet that originally published Northam's 1984 yearbook — reported on the alleged sexual assault.